Baggage Capacity 24 cu. ft. The Learjet 60 is an elite medium-range business jet charter by Bombardier Aerospace. Manufactured with the highest quality materials, this corporate jet charter offers a convenient mid-sized cabin, which makes it a popular choice for travelers. 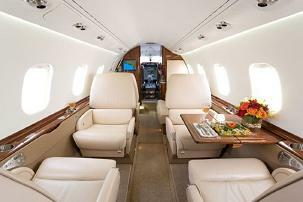 This private jet charter features a passenger capacity of 7, allowing for enhanced privacy and tranquility. The Learjet 60 maintains an airspeed of 535 miles per hour and a range of 2,134 nautical miles. As a premium corporate jet charter, the Learjet 60 offers a cabin width of 5.92, cabin height of 5.71 and cabin length of 17.67. This private jet charter provides a baggage capacity of 24 cubic feet, making it a reliable choice for trips of all kinds. 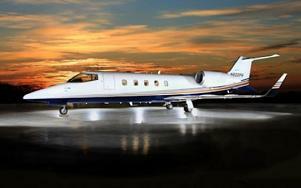 The Learjet 60 is known for its tremendous performance capability; charter one today with JetOptions Private Jets. This aircraft is also available in a 60XR configuration.